Shao-Ching Chiang needed just 106 pitches to throw the first complete-game no-hitter for a Lynchburg team since Tim Van Egmond did it for the Lynchburg Red Sox on June 1, 1992. The Hillcats only had two hits of their own but produced three runs to claim a 3-0 victory over Winston-Salem Saturday night. The right-hander recorded 16 groundouts and seven strikeouts en route to the first Lynchburg no-hitter of any kind since the Hillcats had back-to-back combined no-hitters on June 26 and 27 in 2014. Chiang only allowed three baserunners the entire game. The first batter of the game, Bryant Flete, reached on an error. Outside of that, Brady Conlan walked and was hit by a pitch. No other Dash hitter reached base in the contest. Winston-Salem did not see a ball leave the infield until the sixth inning. Only four outs were recorded in the air, including the final out of the game when Willi Castro made a leaping catch on a line drive hit by Zack Collins. Chiang retired the final 14 batters he faced Saturday. Offensively, the Hillcats scored three runs on just two hits. Kelvis Valerio started for Winston-Salem on short notice after a late lineup change. He tossed four perfect innings before leaving the game. Facing a new pitcher in Mike Morrison, Lynchburg finally broke through with a Gavin Collins leadoff single in the fifth. An error and a walk loaded the bases. Martin Cervenka hit a sacrifice fly to center field to bring home Collins. The Hillcats added a pair of runs in the ninth. Connor Marabell tripled and scored on a throwing error, while Cervenka walked and later scored on a groundout to first. Chiang worked a 1-2-3 ninth to finish the Hillcats’ eighth shutout of the year. It also gave Chiang (8-8) his first victory since May 28 after he began the year 7-2. Lynchburg completes its weeklong homestand with a doubleheader Sunday at 3 p.m. The Hillcats and Winston-Salem will play a pair of seven-inning games. 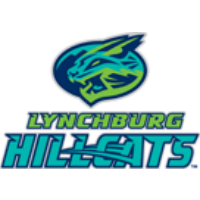 It’s “Honey I Shrunk the Kids Night” at City Stadium, and gates will open at 2 p.m. Those who cannot attend the games can hear them live at www.lynchburg-hillcats.com.